This Active Directory Basics tutorial explains how AD offers a central way for admins to manage user accounts and devices within an IT infrastructure network. You'll learn how to make changes in AD to provide consistency across the environment. In addition, this tutorial explains how to remain productive on secondary AD-managed devices if the primary device is defective or lost. Includes best practices and references for further reading. In this week's newsletter we report on more HTTPS security worries for users of so-called protection software. We also announce a new update for Microsoft Deployment Toolkit, a new (and free) ebook on System Center Configuration Manager, new Common Criteria certifications for certain versions of Windows, and how you can take Microsoft certification exams from the comfort of your own home. We also have some tips on using the HOSTS file, monitoring folders on a server for the presence of files, and an easy way to check the quality of your Windows PowerShell scripts. All this and more in the latest issue of WServerNews. Enjoy! Does that feel like you some days? Obviously this is not an exact science as there are many variables such as environment, manufacturer and workload. I wondered if there is an industry-standard metric that is widely used. Thanks for reading our newsletter--please tell your colleagues about and suggest they subscribe to it too! From the Microsoft Deployment Toolkit Team Blog comes an announcement from the Enterprise Client Management team that Microsoft Deployment Toolkit (MDT) 2013 Update 1 Preview is now available for free download. MDT is a terrific tool for small to mid-sized Windows deployments, and integrating it with System Center Configuration Manager makes large-scale deployments easier as well. 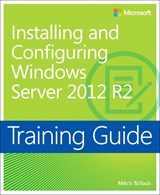 This ebook addresses some of the gaps and pain points you might encounter when implementing, administering, and troubleshooting Software Updates using Configuration Manager 2012 R2. The advice is based on the authors' experiences working as Premier Field Engineers and Microsoft Consultants in customer environments on a daily basis. Enjoy this book and the shared experiences from the field. The authors of this ebook were Andre Della Monica, Chris Shilt, Russ Rimmerman, and Rushi Faldu, and the Series Editor was Mitch Tulloch. Windows Server 2012 (domain-joined only, but for both Standard and Datacenter editions) and Windows 8 (both domain-joined and standalone, and for both Professional and Enterprise editions) have now been certified by the National Information Assurance Partnership (NIAP) for compliance with the Common Criteria for IT Security Evaluation (Version 3.1). This is important for many US agencies in the Federal or State government sector and with the military as many of these agencies recommend or even require that information systems they use be Common Criteria certified. Note that this option is not available in every country. I received the same response several times over the next few days when I tried binging for stuff. 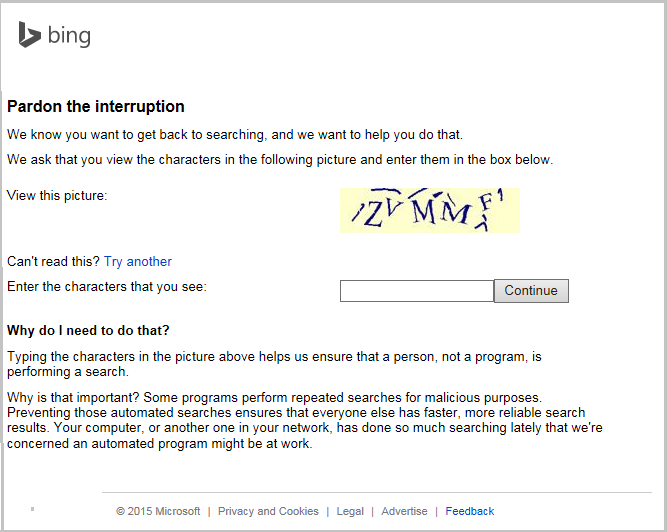 This never happened when I used Google. Methinks this was a temporary glitch in the algorithm Bing uses to prevent bots from misusing its services as the problem seemed to resolve itself and hasn't recurred. New Veeam Explorer for Microsoft Active Directory makes item-level recovery with Active Directory a breeze. Recover individual AD objects and containers, user accounts and passwords in few clicks! Free Server & Application Monitor - Failure of a server or critical application can shut you down. FREE Server & Application Monitor will help reduce or eliminate application, database and general file server interruptions at no cost! This week we have tips on using the HOSTS file, monitoring folders on a server for the presence of files, and an easy way to check the quality of your Windows PowerShell scripts. In Issue #1016 Active Directory change matrix, we included a tip titled "Effective ad blocking" that described a HOSTS file created and maintained by a Microsoft MVP which you can install on your computer in order to block ads, banners, 3rd party Cookies, 3rd party page counters, web bugs, and even most hijackers. Then in last week's Issue #1018 Making hardware last, we included a new tip titled "More on effective ad blocking using HOSTS file" with some advice by Jeffrey Harris, one of our newsletter readers, that provided some additional helpful ideas for customizing your HOSTS file. Adam would love to hear your feedback about is module, so leave a comment on his blog if you like it or have any suggestions for improving it. The Windows PowerShell Blog has just announced the availability of a new tool called the PowerShell Script Analyzer which provides static code analysis for PowerShell scripts and modules. The tool works by running a set of rules based on PowerShell best practices identified by the PowerShell Team at Microsoft and by the larger PowerShell community. Windows Server 2003 is reaching the end of support (EOS) on July 15, 2015 and millions of instances are still on the clock. The time to move is now, but the migration journey can be a treacherous one unless you know what to watch out for. Register for this live event today. Social media has grown from being a curiosity to a mission-critical business application in a very short time. Unfortunately, the increased use of social media and corporate reliance on it is not always accompanied by sufficient IT oversight, sound policy management, or content control – putting companies at enormous risk. Organizations using multiple social platforms must gain control of compliance, eDiscovery, security, and brand risks before they encounter a serious problem and make headlines in a bad way. What are the key legal and compliance risks of social media and what types of organizations are most affected? What are the risks you face from doing nothing to address the unfettered use of social media in your organization? Do the current policies, data management processes, and technologies apply to social media? What are the implications of employee, personal use of social media and unique risks to the organization? What are some key steps you can take to protect your social media data and your organization? What should you look for in a solution to gain control of social media, and what are some of the key benefits of solutions in cloud? Sign up for this informative event. This information-packed event is presented by MSExchange.org and is designed for busy IT Professionals within the global Microsoft Exchange and Office 365 Communities, as a convenient and cost-effective opportunity to get the latest information on important Office 365 and Exchange topics from leading experts and vendors. The online conference takes place on Thursday, March 19, 2015, starting at 10am EDT / 9am CDT / 7am PDT / 2pm GMT. Join Microsoft MVP J. Peter Bruzesse, who will kick-off the conference with a keynote presentation on What IT Professionals Need to Know about Office 365 Exchange. Adopt Office 365 Now, But Address Security Concerns First! Even though tools such as Puppet and Chef have helped enable DevOps in the cloud, there are still some serious hurdles when it comes to managing and analyzing your cloud-based apps. Learn how cloud computing has redefined DevOps and how it has influenced DevOps tools and principles in this exclusive resource. SCVMM 2012 R2 does much more than just manage virtualization hosts. It is also vital for managing your private cloud infrastructure and ensuring your critical business workloads are up and running, thus preserving your business continuity. Learn how to deploy a highly available SCVMM 2012 R2 infrastructure today by taking into account key considerations. Is application refactoring the solution to delivering mouse-and-keyboard apps to mobile devices? It could be, but refactoring vendors all take different approaches, so it's paramount to know the differences before choosing a tool. Access this complimentary application refactoring product rundown today. If you're looking to extend your storage array lifespan, using SSD can help. By utilizing speedy and low latency SSDs, administrators in a vSphere environment can improve workload performance, but it is crucial to know your workload needs first to prevent overspending. Discover how to tune SSD cache and start maximizing your performance gains today.